With our extensive fulfillment capabilities, experience, and personalized service, you’ll come to think of us as your neighborhood problem solver. Our team can manage the full lifecycle of any promotion in the fastest, most accurate manner possible. When working with GPG, you’re not just hiring another vendor, you’re creating a strategic partnership with a company that will do the heavy lifting for you – from official rules write-up and state registration and bonding to graphic design, procurement, shipping and tracking of your rebate promotion. Imagine the possibilities when you combine technology with the personal service from our VP’s – that’s right, personal service on a first name basis. With GPG you can basically do any type of online rebate – mobile and web based rebates for your brand. And did we mention you get access to real-time analytics?. We provide sophisticated web-based reporting and analysis tools to measure the effectiveness of your promotional campaign, empowering you with the data necessary to make fact-based, strategic marketing decisions. With today’s technology is easy to keep your customers in the loop. With our proprietary technology, your consumer can easily track their rebate in each step of our automated process. 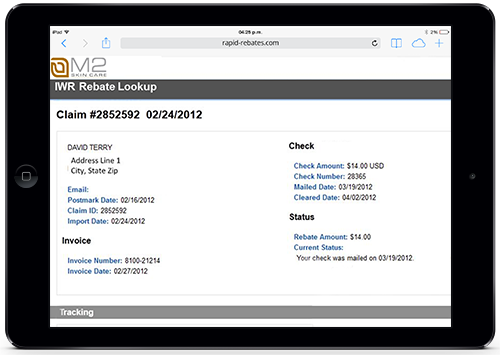 Your consumers can use our web-based tool, Rapid Rebates to access the real-time status of their rebate claim, anytime. 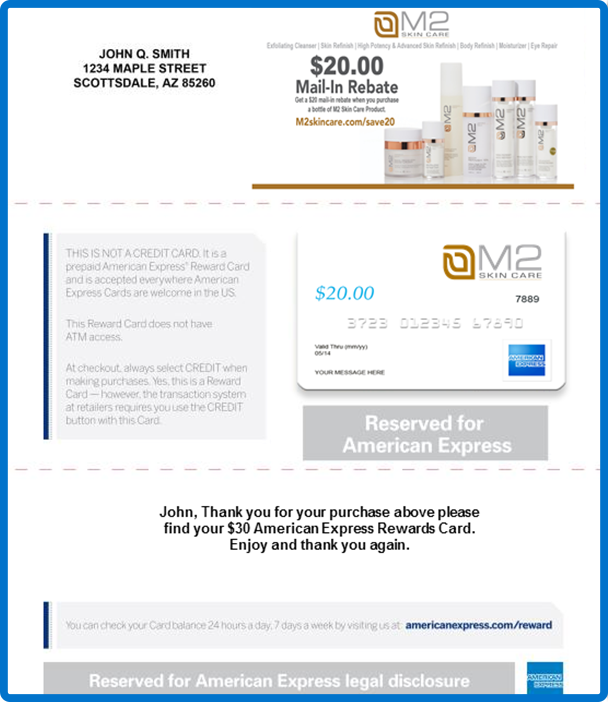 Rapid Rebates can quickly be branded to match your company’s site for an integrated presentation, with no custom programming or fees. Not every one of your customers wants to receive a check. So skip the hassle of buying the paper and filling your printer each day with new ink cartridges. Take advantage of retailer gift cards. We will procure, load, and mail retailer gift cards to your consumers, employees or channel partners. All you need to do is to pick and choose a card from any major US retailer. We’ll take care of the rest. We’ll send client-branded notifications throughout the rebate process so your customers don’t’ have to wonder about the status of their rebate claim. 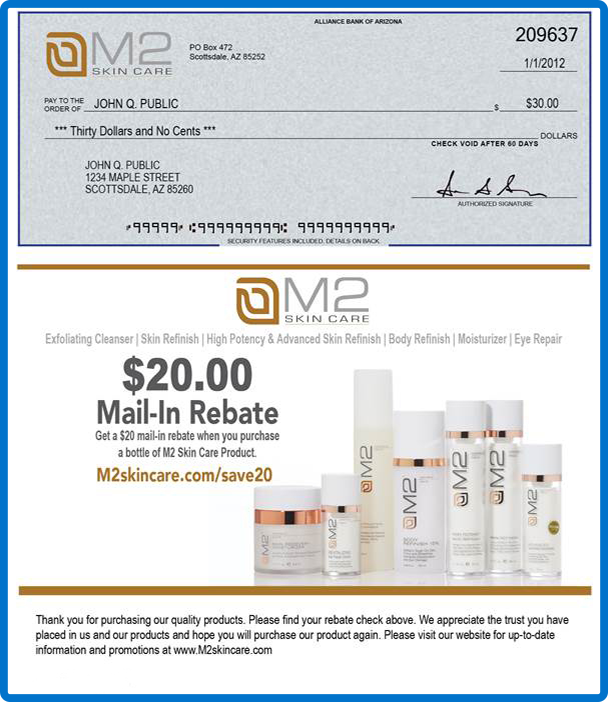 Everything your customers need to stay informed throughout the rebate process is provided to them from the point at which we receive a mail-in claim or online submission to the day the check is mailed. With our help you can create branding material with free marketing space that will help you bounce back / Follow-up on your promotions to create additional sales opportunities.